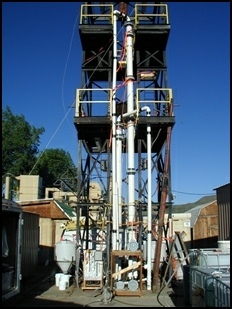 Elbow Creek has conducted numerous laboratory and pilot scale studies for a wide variety of processes. As a process consultant, Mike Botz can coordinate all phases of testwork, starting with program design and continuing through equipment assembly/construction, execution or oversight of testwork, coordination of sample analysis and preparation of a final report detailing test results. An important addition to this work is extraction of key test results and development of specific design and performance criteria for a full-scale plant. 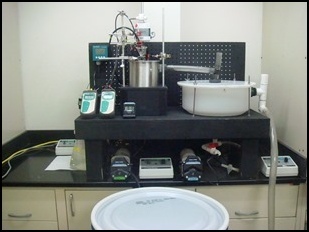 When limited sample material is available or a project is in the early stages of development, laboratory testwork is often appropriate. 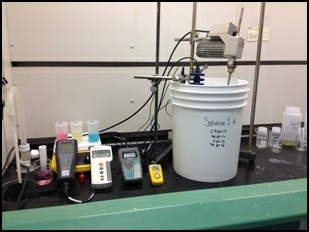 Results from such testwork can be used to quickly screen a variety of processes, estimate process efficiency and quantify reagent consumptions. In some cases, results from laboratory testwork are suitable for direct scaling to a full-scale plant. Elbow Creek can arrange for laboratory testwork at your site or can arrange for leasing of laboratory space at locations worldwide. 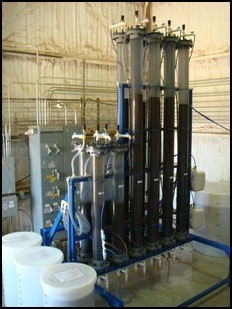 For some processes, longer-term or larger-scale pilot testwork is required to adequately characterize process performance. 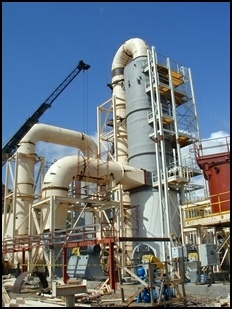 In this case, pilot equipment can be constructed and operated with a continuous throughput of feed material. Pilot testwork can be executed by Elbow Creek or can be conducted by others under the supervision of Elbow Creek. A key benefit Elbow Creek brings to laboratory and pilot testwork is the practical experience with applying test results to design of a full-scale plant. By preparing a Process Design Package under the direction of Elbow Creek, you can be assured results of laboratory and pilot testwork are properly incorporated into design of the full-scale plant.